One of the things that I wasn’t taught in seminary (and wish I were) is that ministry in church life is mostly a disappointment. We clergy don’t often like to talk about that. I mean, who would like to say that most of the time, the work they do, in terms of verifiable results, is mostly useless and has no discernible effect? Yet that is where most of us are in our ministry most of the time. Most of the time, people do not actually convert in their hearts to becoming like Christ. Most of the time, when we ask people to give their time, they don’t. Most of the time, when we ask people to give their resources, they don’t. Most of the time, when we teach people the truth of Jesus Christ, what the Gospel is and how we should live as a result, they just ignore it. What if everyone in my congregation actually tithed? Well, I’m not sure how much everyone makes, but if all 105 of our families made the median income for our area and they all actually tithed, our income would quintuple. Or what if all our families came just twice a month to church? Our Sunday attendance would go up by more than 60%. Or what if they all came to confession even just once a year? I’d probably hear at least three times the confessions I do. I could go on and on, but you get the idea. 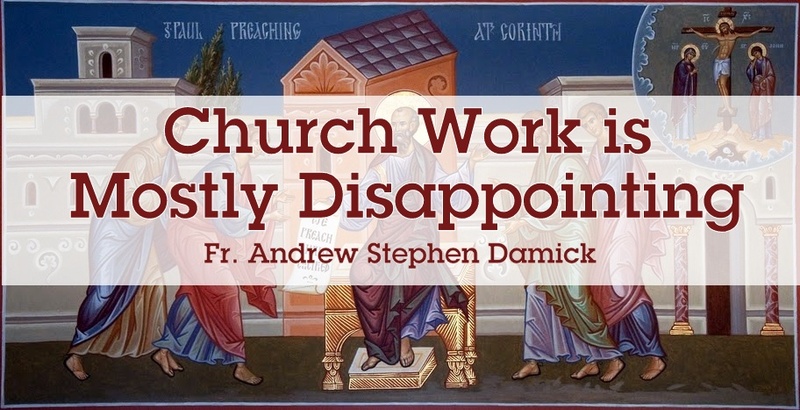 Most of the time, in terms of what can be measured, church work is a disappointment. One time, I had a parishioner email me and say that she didn’t want me to think I was just shouting into a void. She and her husband heard me and were being changed by the content of what I was preaching. And another time, as I was wrapping up a wedding with a mixed-faith couple (always a gamble in terms of whether they’ll really stay in the church now that they jumped through the hoops), the non-Orthodox spouse said to me that they were going to become Orthodox. Another time, I had someone tell me that since they’d come to our church, their eyes had been opened; they never believed that Christian life could really be so good and so committed. Still another time, I had someone whose marriage had been going through very difficult times come out the other side still intact say to me that their marriage had been saved. And it’s moments like this that some clergy will point to and say, “This makes it all worth it.” And yes, those moments are a great blessing and really satisfying to experience. The problem with looking to those moments to make it all worth it is that our sense of what we’re supposed to be accomplishing is still placed in the hands of the people we serve. What if we’re not really that good at our jobs and people just never respond that way? What if we have active antagonists in the congregation who just outbalance everything positive? What if those satisfying moments don’t come that often? Some clergy will look to outside pursuits to keep their chins up — hobbies, writing, reading, non-church friends, family, etc. And these things can and do help us to keep stable and sane. But the thing that I discovered is that I have to expect to be disappointed by the results. That’s why I wish someone had told me. But I also discovered — with the good advice of more than one much more experienced clergyman than I — that the work of ministry has to be done for the purpose of my own growth in holiness, for the working out in fear and trembling of my own salvation. So long as I hitch my ministerial wagon to anyone in the parish, even the really “good” ones, I have handed over my sense of who I am, of what my mission is, to someone else. And they will disappoint me. I have to keep my sense of mission firmly with God and firmly within the scope of how He wants me to work out my salvation. That doesn’t mean that I shouldn’t always be trying to learn how to reach people better. What I do is a craft that requires experience and skill, and I can always be honing it and learning more. But it does mean that I can’t let other sinners be the measure of who I am. That belongs only to God, and He’s working that out in me with my cooperation. And you know what I’ve also found out? When I refocus my ministry in terms of working out my own salvation, I’m actually a more effective minister, even in all those measurable ways. So if you find yourself disappointed in ministry, whether you’re a clergyman or not, even if your ministry is “just” the ministry of kindness and love within your family or workplace, remember that we are called to do this all “as unto the Lord,” that it is for Him alone and not any human master or recipient (Col. 3:23, Eph. 6:7). He will not disappoint. It will definitely be hard, but over time, it will indeed get done. “I thank my God upon every remembrance of you, always in every prayer of mine making request for you all with joy, for your fellowship in the gospel from the first day until now, being confident of this very thing, that He who has begun a good work in you will complete it until the day of Jesus Christ; just as it is right for me to think this of you all, because I have you in my heart, inasmuch as both in my chains and in the defense and confirmation of the gospel, you all are partakers with me of grace” (Phil. 1:3-7). Fr. Andrew, this is a really good, if sad, post. My heart goes out to you and every person in vocational ministry. Yet, I want to humbly suggest that I often think the ministry strategy is wrong—or at least incomplete. In other words, too often priests give their best resources to those least likely to change. Worse, this comes at the expense of really investing in those most likely to change. I am a deacon and not a pastor, so maybe I am wrong, but I have certainly seen this in business. I have written about it here: https://michaelhyatt.com/wrong-people.html. I also shared some thoughts on the leadership strategy of Jesus here: https://michaelhyatt.com/the-leadership-strategy-of-jesus.html. I wonder what would happen if pastors invested the bulk of their time and energy in those most willing to follow Jesus. I wonder if we we might have pastors who are more satisfied in their jobs, less susceptible to burnout, and less lonely in their work. I also wonder if pastors would have more healthy lay men and women who are willing to help shoulder the burden of ministry, both in terms of their time and money. I read this article, and I loved it! I think it will be very useful for my own life, thought I am not a priest – I have struggled with boundaries, and this is a great way to look at it. Only one caveat – something to keep in mind to make sure perspective isn’t lost. All that you’ve said about Christ is true with regards to how he spent His time, but there is also the parable of the Good Shepherd, and how he will leave all of his flock (safely) in order to go after that one stray sheep. How to do that without losing/neglecting all of that flock is the key to healthy balance. Maybe that is where good deacons come in, as well! I myself have a busy priest, and whenever it is proper, I just go straight to the deacon with many of my questions, and he redirects me to the priest if necessary – that allows my priest more time for others who need him. Deacons who minister this way can also help keep those at the edge of the “herd” from wandering off, too. The above quote from Thomas Merton, now written some 50 years ago, has been immensely helpful to me in pastoral ministry. We must try not to invest our time in trivialities that contribute nothing to the truth and value of our work – Deacon Michael’s book cover is a good example of the kind of silliness we clergy too often get involved in – but there are no “wrong” people. Jesus invested in many people who were not very likely leaders: an illiterate fisherman; a tax collector and collaborator with a hated regime; a zealot revolutionary; and a man who was a violent persecutor of Christians, to name just a few. Clergy – so often “quarter-hearted” ourselves – cannot see into the hearts of others clearly enough to discern whether the people God sends us are the “right” ones or the “wrong” ones to invest in. We are called to give everyone we serve what they need – but not necessarily what they want. And this is extremely difficult. In the end, I believe Merton got it right. It’s the quality of our relationships that are redemptive and the arena in which we work out not merely own salvation but that of others as well. God bless you for writing this article Father Andrew; and thank you Deacon Michael for the wisdom of your experience. Glory to God Who sends us priests willing to be crucified for their people. When I was a layman, I thought priests were all saints. As a subdeacon, I learned better, and I thought that deacons were pretty similar to priests, you know, just couldn’t do quite as much “stuff.” After ordination to the diaconate, however, I’ve become aware of the great gulf between the diaconate, which I love, and the priesthood. I will never be a priest (too long a story to explain), but I thank God for giving me insight into what priests do and who they are. Yes, your job, in a sense, is to suffer disappointment. To be crucified for Christ and His people. Thank God for priests. The only consolations I can think of are two–first, the great brotherhood I’ve witnessed between priests, and the incredible love and support they show for each other (because no one can fully understand but another priest). Second, the Church needs more deacons! Foremost to help the priest, to relieve of him of some of the burden, to allow him in the liturgy “to become prayer” (in Metropolitan Anthony Bloom’s words). Again, thank you for your ministry and your sacrifice. So I’m a pastor in a charismatic (word or faith) tradition in South Africa and i loved the blog you wrote above and its sadness resonates within me. 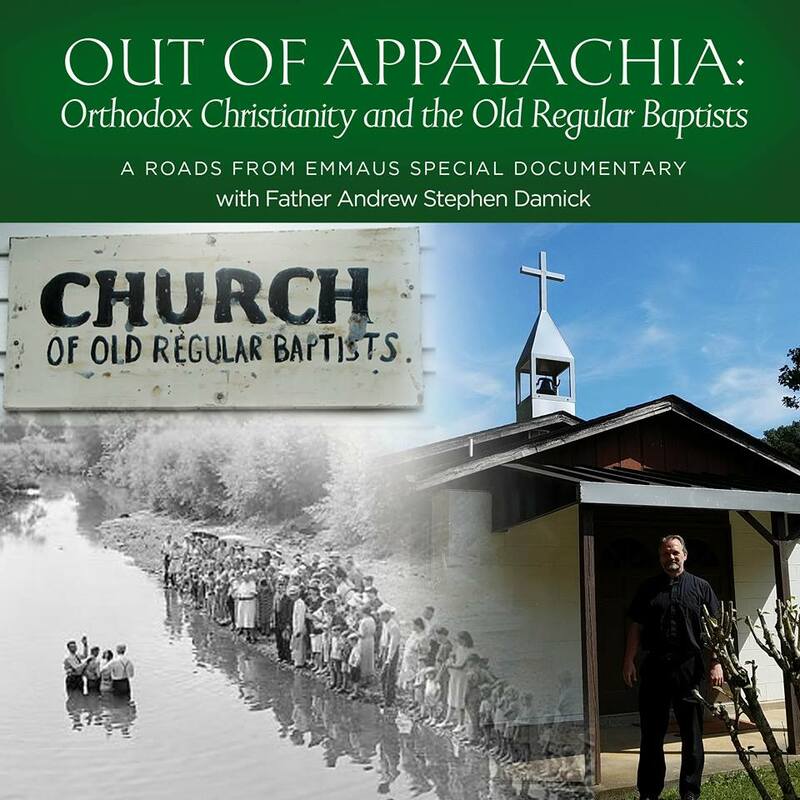 I’m also an avid listener of the Areopagus Podcasts and listening to the latest one as i write this. I also have said that after collage training for the Pastor’s role that now have i have often thought i need to ask for a refund of some type. not because i didn’t enjoy Collage it was great i attended the same one as Ps Michael Landsman Jr and i totally agree with his thoughts on that collage. I’ve been a Pastor for over 9 years but have been at the church for 27 it’s hard and sad to say that it took me many years to realize my what is truly important with regards to my calling , I love the construct of what i get to do but the context where i do it can be difficult for me. My first responsibility has to be to God and make him all the events, reports,budgets, So my personal devotion and walking out my own salvation is paramount . Second to that is that i’m a husband and father and i came to the conclusion that being a husband and father is more important than the title on my door. I think in all christian traditions churches have been damaged badly when a Priest or a pastor sacrifices his marriage and children in the alter his his or her pulpit. I am extremely fulfilled some days in my role as a pastor as i’m able through God’s Grace to help a family through Grief or teach a bible study on the Gospel or mentor and listen to peoples past and help them find there way to the alter of Salvation and Repentance or find their way back to God, I am humbled that God uses me an unworthy vessel to bring his Glory . I just listened to your podcast with the same name and came to your blog looking for the poem about a pastor that you mentioned. Could you post a copy or link to it? Thank you. I have been a faithful listener to the Areopagus since the beginning and have been encouraged/enriched by it. Please keep up the good work. Ps. Could you do a podcast about iconography sometime?